On Nov. 23, 2016, local Blue Star Mom, Heather Garrison, began what would turn into a monumental running streak in honor of her two sons currently serving in the United States Marine Corps. Since beginning the streak, Heather has run a minimum of one mile every day for more than 380 days. 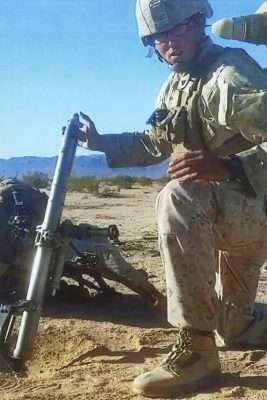 Garrison’s oldest son, Brian Garrison, joined the Marines in June 2015 and her second oldest, Brendan Garrison, was deployed in June of 2016. “I have no control over what happens to my kids and it’s a stressful time when they are deployed, so I decided I would run at least a mile every day,” said Heather. As of Tuesday, Dec. 12, Heather has run a total of 1,396 miles in 384 days. 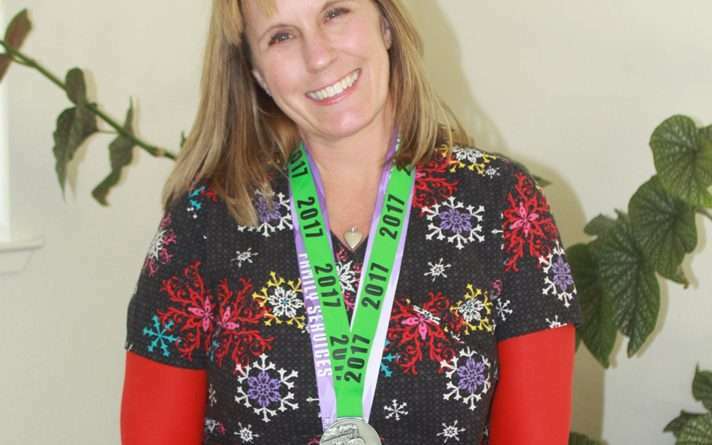 Heather mentioned most of her training and daily running is done at Iron Horse Gym in Susanville, though she has also had a few runs outdoors. Heather initially got the idea from a club she joined that is linked to the Biz Running Company. Along with other runners, the initial running streak was scheduled to begin on Thanksgiving 2016 and continue until New Year’s Eve. However, for Garrison, the quest didn’t end with the drop of the ball in Times Square. Brian returned home in May of this year, but news soon followed that Brendan would be deployed in June, so Heather decided to continue her running journey. Though the situation is difficult, Heather explained that running every day helps relieve some of the stress. She also runs with the support of two other local athletes: Monica Major and Lisa Urquizu. Major also started her running streak on Nov. 23, 2016 and is thus on par with Heather. Urquizu is nearing one year for her streak, and the three ladies communicate daily to keep one another accountable for the task. In addition to reducing stress, Heather’s commitment to running has allowed her to participate in a half marathon and a full marathon within the past five months. 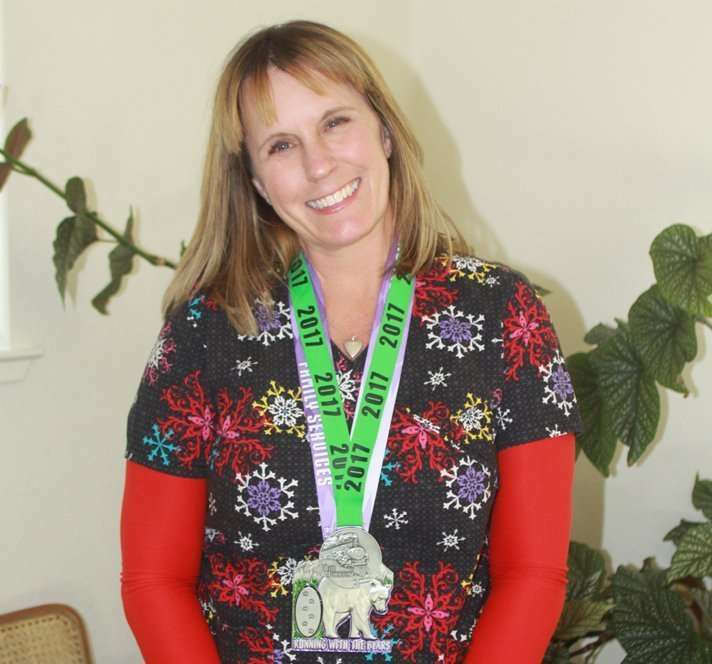 On Aug. 19 of this year, Heather participated in the Running With the Bears marathon held in Greenville, California. “It was really challenging. By no means did I set any records, but I finished it,” said Heather. Running With the Bears was the first full marathon in which Heather had the opportunity to compete, and Urquizu was present at the event to cheer Heather on. Heather trained for the marathon alongside Jennifer Peterson, who participated in the same race. It was with Peterson when Heather partook in a 16-mile jaunt, the longest non-race distance accomplished in her nearly 400-day quest. Heather later participated in the Biz Johnson Half Marathon in October alongside her husband, Mike Garrison. “My husband and I, together, ran the Biz Johnson Half Marathon. We did that for our boys. We had our ‘Running Marine Mom’ and ‘Running Marine Dad’ shirts on,” shared Heather. At this point in time, Heather mentioned that Brian is home while Brendan is deployed. And though Brendan is scheduled to return home in spring of 2018, Brian will be deployed soon afterward. Because of this, Heather has no foreseeable finishing point for her daily running quest. “I’m going to keep doing it as long as my body lets me,” she said. The youngest Garrison son, Bradley, is a great support for Heather. 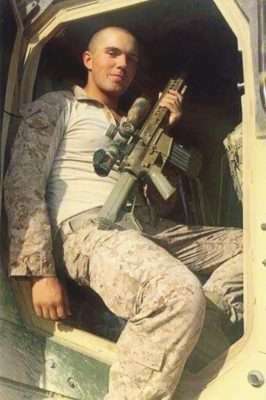 According to Heather, Bradley will continually brag to his peers about the dedication his mom has shown, which is more than enough encouragement to keep Heather on her quest. “If I can do it, anyone can do it,” she said with a strong sense of encouragement.